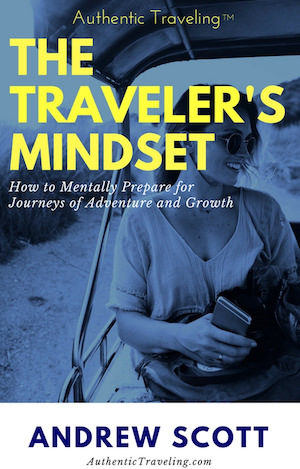 Arianna is the kind of person you dream of meeting while traveling; friendly, helpful, and patient. Our paths crossed on a recent trip through the Friuli-Venezia Giulia region of Italy. Always on the lookout for new experiences, I thought it’d be fun to see how the world-famous Prosciutto di San Daniele is produced. So, I arranged a behind-the-scenes tour of the Arbea Prosciutto factory, located just outside the town of San Daniele del Friuli, where Arianna served as my host. After my tour, we spoke over an espresso in the center of town. Hey, Arianna, thanks for taking the time to chat today. So we’re downtown San Daniele. This is your hometown, but you’re not originally from here, correct? Hah, no. I’m originally from the province of Pordenone, but I grew up in Majano, a small village a few kilometers from San Daniele. I moved here after college, looking for work, independence, and liberty. And you’ve found that in San Daniele? Definitely! I now work as the Executive Assistant to the CEO of AMB Spa, owner of Arbea, one of the most prominent—and in my opinion, the best—producer of prosciutto in the San Daniele area. 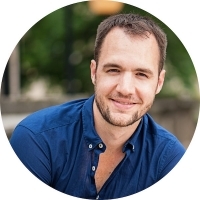 It’s a dynamic and active role that constantly has me meeting interesting people from around the world. That’s great! So what’s it like living here in San Daniele? San Daniele is a little jewel set on a hill, surrounded by breathtaking views of lush hills and green meadows. Life here is very quiet—it’s a city a miser d’uomo, meaning it’s well-tailored to the needs of each and every individual in the city. At the same time, we work quite hard. I like to think of us as bees—always buzzing around. San Daniele del Friuli's idyllic setting. 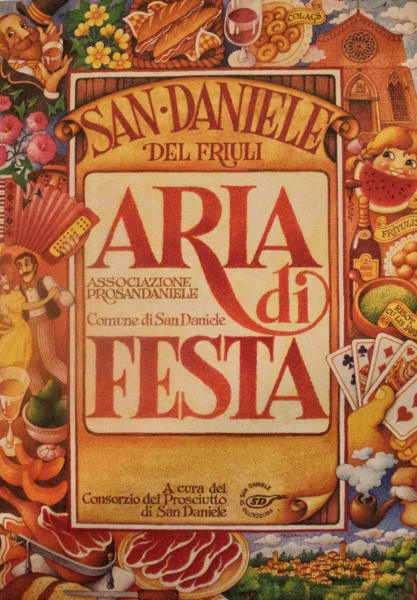 What’s your favorite thing to do in San Daniele? What would you suggest people see while in San Daniele? Without a doubt, my favorite thing to do is to relax in the park in front of the Chiesetta di San Daniele in Castello, located at the end of a tree-lined street just outside of town. Not only is the area incredibly peaceful place to reflect on life, but it provides a magnificent view of the nearby countryside. I would suggest visiting the Biblioteca Guarneriana which has an incredible collection of medieval and renaissance manuscripts [admission to the collection is by tour only, with a minimum of 10 people; email info@guarneriana.it for more information]. 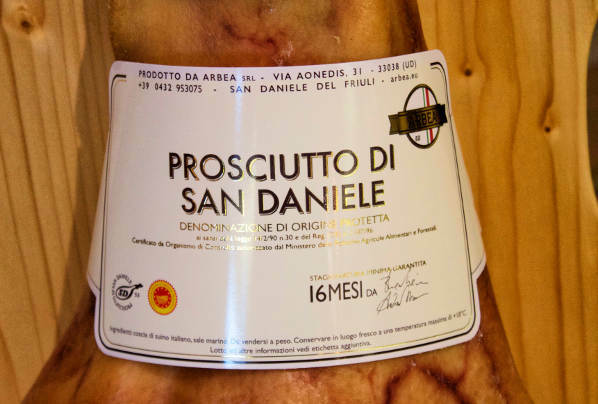 Let’s talk about San Daniele’s most famous export—its Prosciutto! What’s the relationship between the city and the Prosciutto? How has it affected life here? The Prosciutto di San Daniele has had a huge impact on life here. Not only has it brought jobs to us, but it’s also made our town world famous! What should visitors pay attention to when they eat the Prosciutto di San Daniele? If possible, you should start by making sure it’s really from San Daniele. Whether you’re buying pre-packaged cuts or having a butcher shave slices off for you, there should be a logo of a stylized ‘SD’ within the silhouette of a leg of prosciutto visible somewhere. As for the taste itself, the Prosciutto di San Daniele is quite sweet—almost fruity. An ideal slice should be thin enough to melt in your mouth. There should also be a fair amount of fat. What’s the perfect way to eat Prosciutto di San Danielle? With grissini [thin breadsticks], a soft cheese, Tocai Friulano, and good friends! I’ll still full from today’s prosciutto tasting, but if I wanted to have an authentic, local meal, where should I go? Where to begin—there are so many places here! Some of my personal favorites for lunch or dinner are Ristorante Farroni, Osteria da Tancredo, and Al Portonat. 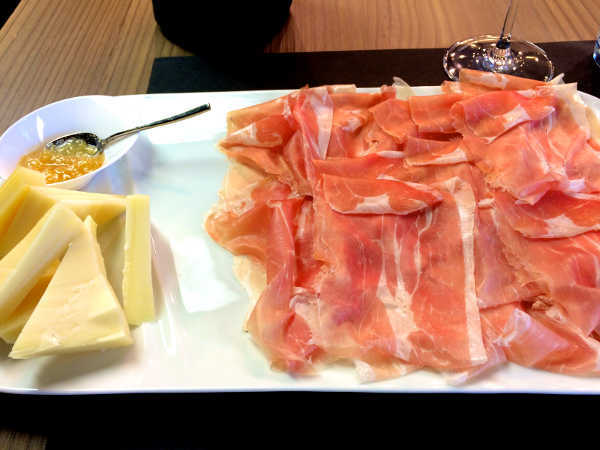 Every meal should start off with a plate of Prosciutto di San Daniele. Then, I’d suggest ordering a dish of Tagliolini all San Daniele [egg pasta topped with cream and cubes of prosciutto]—it’s another local speciality. And if you’re still hungry, grab a plate of frico, a delicious cheese and potato dish from the Friuli region. Frico and Polenta, local specialities. And where would you suggest for a nice glass of wine or a cocktail? La Trappola, Al Michelaccio, and La Corte di Bacco are all great options. Our best wine is the Tocai Friulano [a fruit-driven white wine], without a doubt. I strongly recommend having a glass or three. What makes the Prosciutto di San Daniele—and that at Arbea—unique? How is it different from the Prosciutto di Parma? Assuming you’re using a quality cut of meat, the real difference in various prosciutto types comes down to how you prepare it. How long do you cure it for? Have you smoked the meat? These methodologies were developed over many years to fit the natural climate—remember, we were making prosciutto long before advanced factory techniques existed—meaning that each prosciutto variety can only be made in one place. 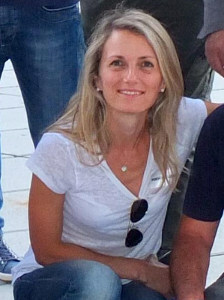 For example, since the climate in San Daniele is less humid than that in Parma, it takes less time for the salt to cure it initially, which results in a sweeter finished product. 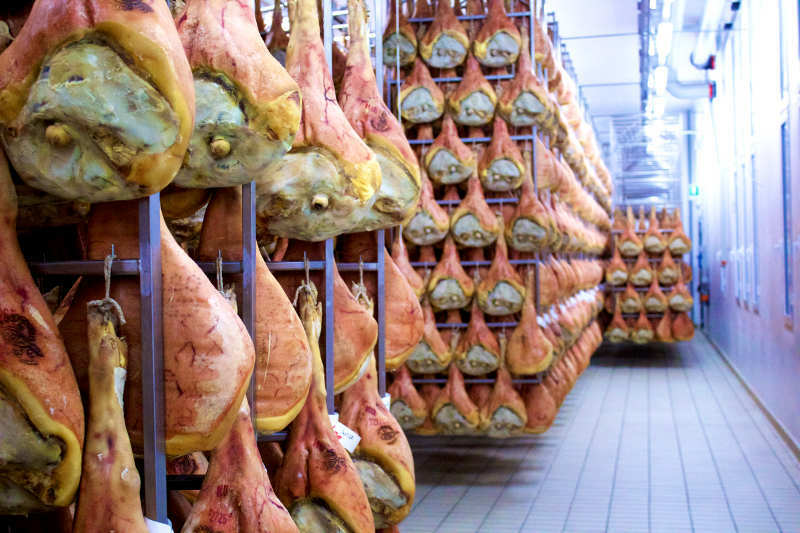 Most producers in the area will sell their prosciutto after 13 months of aging (the minimum required by the San Daniele consortium), but here at Arbea we believe in selling only the highest quality products, which means we allow our meats to age at least 16 months. This extra aging provides the Prosciutto with an even richer flavor. How has San Daniele’s location (near the mountains, the sea, Austria, and also Slovenia) affected the city? The city retains some aspects of its neighboring cultures—we are very hard workers, for example, and we get a good number of visitors from Austria and Slovenia. What is something that you’d like people to know before visiting San Daniele or the region of Friuli-Venezia Giulia as a whole? Although we may not be the most famous region in Italy, Friuli-Venezia Giulia is rich with tradition and history. When you visit, you will be welcomed with open arms by a unique people with much to offer. Try engaging with us and you won’t regret it!